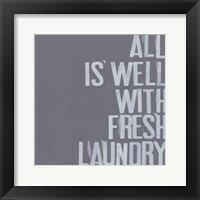 Laundry rooms are not exactly at the top of the list when it comes to decorating homes, but this doesn’t mean that they should be ignored! 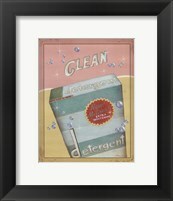 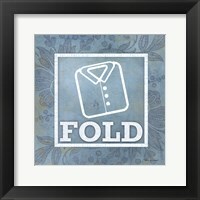 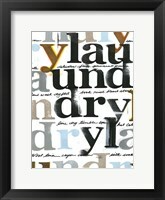 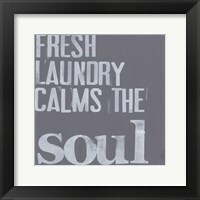 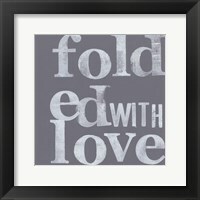 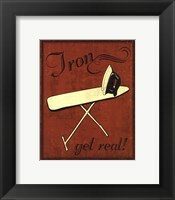 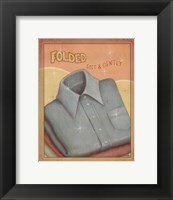 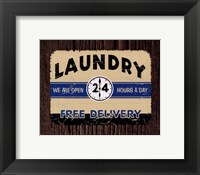 FramedArt.com has a large selection of laundry room art that can make your laundry room a fun, finished space that you'll love to spend "loads" of time in. 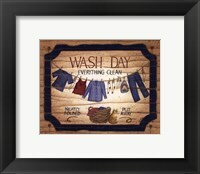 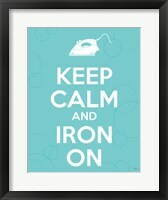 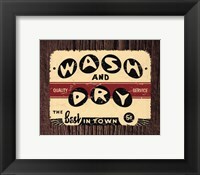 Including witty sayings and vintage signs for washing, folding, sorting and ironing, our laundry room artwork is sure to delight. 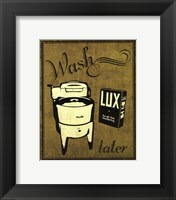 Back in the day, people didn’t have their own laundry machines. 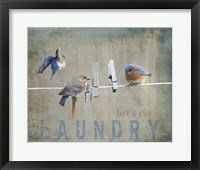 Instead, they had to go to laundromats to clean clothes or wash them in the sink and hang them to dry. 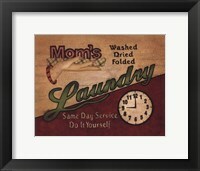 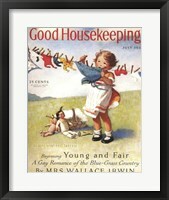 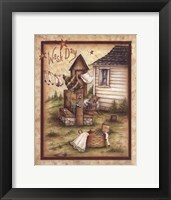 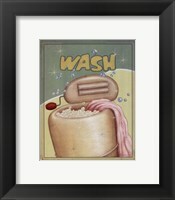 Many laundry room art prints have a special vintage look to reflect this history. 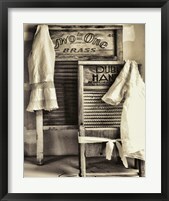 Some feature scrub boards or clothes pins that used to be used for scrubbing, washing and drying. 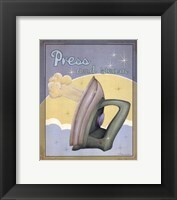 While modern laundry machines are not very attractive subject matter for artwork, some modern laundry room art features them with funny sayings, such as "Let's get ready to tumble." 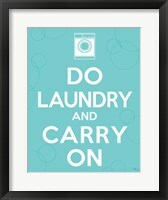 Since laundering is not exactly an entertaining activity, laundry room art also helps to lift your spirits while doing chores. 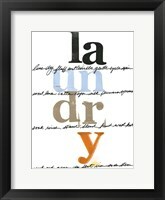 For example, Linda Spivey’s amusingly celebrated the effort invested by mothers to do laundry in her funny posters and inspirational messages. 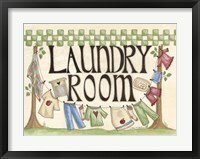 Decorating your laundry room with a laundry theme brings your room to life without overwhelming or overdecorating the tiny space.